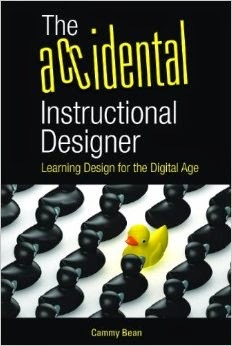 The Accidental Instructional Designer: A Learning Solutions Workshop! On March 19, I'll be leading a one day workshop in Orlando as part of the pre-conference program for the eLearning Guild's 2012 Learning Solutions conference. Most of us working as instructional designers got here by accident, by showing an aptitude for training or expertise in a particular subject matter area. And now, here you are, responsible – in some way – for the design, development, and/or delivery of eLearning. And now you’re actually passionate about what you do. So now what? This workshop will help answer some questions: What does eLearning look like today? What flavors does it come in and do I need to be an expert in all areas? How do I know when to use what kind of eLearning, or whether eLearning is even the right choice? If you're an accidental instructional designer looking to get better at what you do and willing to explore some new ways of looking at things, then please join me in Orlando! There's still plenty of time to sign up. In the spirit of trying to explain to people what I do for a living, I was trying to explain to someone recently what I do for a living. Visions of hairnet covered lunch ladies. I haven’t recovered yet from this one. “Oh no. You create those horrible things that we have to sit through. Every screen is locked out. And there’s a test at the end and if you get one question wrong you have to take the whole thing again!" Two weeks later. Same guy. He introduces me to his wife. She and I start chatting about what we do. “She’s the CBT Lady!” And then she starts hissing at me. It was all in good fun. But seriously. This is how our industry is perceived by the world -- by those forced to suffer through hours of clicky-clicky blah-blah at the hands of the CBT Lady. Whatever you do, don’t be The CBT Lady. I’m begging you. "Live the questions now. Perhaps then, someday far in the future, you will gradually, without even noticing it, live your way into the answer." ~ Rainer Marie Rilke, from “Letters to a Young Poet"
If you're an elearning professional in the Greater Los Angeles area, please join us for a fun and informative networking and sharing event on February 28. Kineo clients from the entertainment and technology industries will be presenting case studies, and I'll be leading a conversation, along with Kineo's Tanveer Makhani, on mobile learning for the enterprise. Bring yourself, bring your elearning friends and clients! See you in Burbank!